1:2 Abraham mentored2 Isaac, Isaac mentored Jacob, Jacob mentored Judah and his brothers. 1.3 Judah mentored Perez and Zerah, whose mother was Tamar. Perez mentored Hezron and Hezron mentored Ram. 1:11 Josiah mentored Jeconiah and his brothers at the time of the exile to Babylon. 1:16 Jacob mentored Joseph, the husband of Mary, and Mary was the mother of Jesus who is called the Anointed of God [Messiah, Christ]. 1:17 Thus there were fourteen successions3 from Abraham to David, fourteen from David to the exile to Babylon, and fourteen from the exile to the Anointed of God [Messiah, Christ]. 1:18 Now the birth of Jesus Anointed of God [Messiah, Christ] took place as follows: When his mother Mary was pledged to Joseph for marriage; before they were joined, she was found to be pregnant by the Holy Spirit. 1:19 But her to-be husband Joseph, who was a devoted man and did not want to disgrace her, decided to send her away secretly. 1:20 But as he was considering this, an angel of the LORD appeared to him in a dream and said, "Joseph, follower of David, don’t fear taking Mary as your wife, for that which is conceived within her is from the Holy Spirit. 1:21 She will bring forth a son, and you shall name him Jesus:4 for he will save people from their sins." 1:23 "Behold, the virgin shall be pregnant and shall bring forth a son and they will name him Emmanuel, which means, ‘God is with us’." 1:24 Joseph awoke from sleep and did what the messenger of the LORD requested, and accepted Mary as his wife. 1:25 But he maintained her virginity until she gave birth to a son. He named him Jesus. 1. Verse 1:1. The Greek word, γένεσις (genesis) means “source, origin,” and “a book of one's lineage” according to the lexicon. Matthew 1:16 and 1:18 illustrate that Joseph was not Jesus’ father. This and other inconsistencies conflict with the notion of ancestry. The list may better reflect a lineage of spiritual mentors or teachers as indicated in the next verse. 2. Verse 1:2. The Greek word γεννάω (gennaō) can mean “to father” but also, according to the lexicon, “in a Jewish sense, of one who brings others over to his way of life, to convert someone.” Such a scenario requires providing guidance and mentorship. 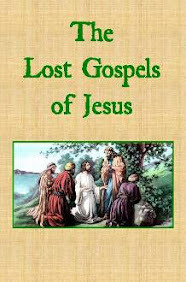 This would indicate the list documents a heritage of spiritual teachers and mentors leading up to Jesus, indicating that his teachings had been handed down through a lineage of Teachers and Prophets.